toyotauk.com is the corporate affairs website for Toyota Motor Manufacturing in the UK. Here you can learn about how Toyota make cars. You can also find out how they reduce the environmental impact of manufacture, and work with the local community.You could even apply for a grant for a charity or school. Recently we updated the Toyota Website. We improved the look and feel of the Toyota Website and made it more accessible for users on mobile devices. The staff at Toyota are now able to update content and update images and files on the website with ease. We have also built the Toyota Motor Manufacturing public visits and the recruitment websites. You can find out more about how Toyota Manufacture cars by visiting Toyota. The recent Public Visit system update enables members of the public to book a visit to the factory via the website. The Corporate team can access and approve applications via the website. They can notify potential visitors of new visit dates and successful visit applications. As a result this has made the application process much more efficient. It has also reduced paper work significantly. Click here to find out how to book a visit. We are currently in the process of updating the recruitment website. 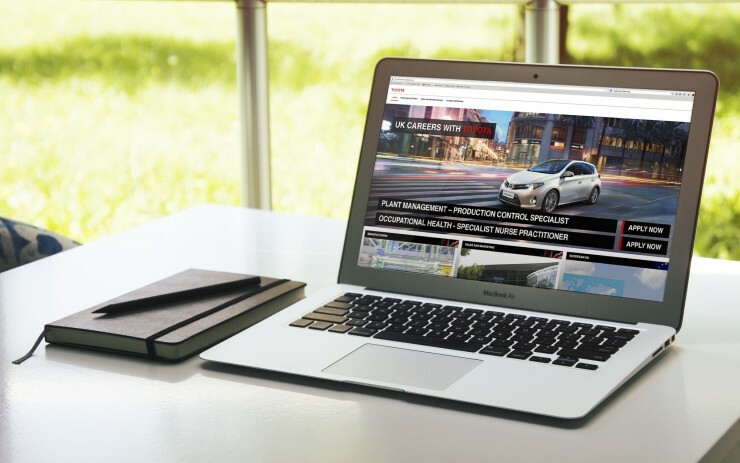 The staff at Toyota are now able to add and edit vacancies on the website. Applicants can apply for the jobs online whilst visiting the Toyota recruitment website. The recruitment team can now access and score the applications witin the site, and filter out suitable candidates. This has helped to speed up the application process both for the recruitment team and the applicant. You can check out the latest vacancies at recruitment.toyotauk.com. There are two Toyota manufacturing plants in the UK, one based in Derbyshire and one in North Wales. They employ approximately 3,400 people and build cars which are sold around the world.